The killing of wild animals and degradation of the environment in Malawi have become criminal offences, NaijaAgroNet reports. 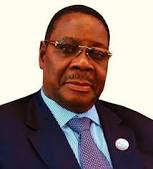 The President of Malawi, Peter Mutharika who emphasized that his government will apply tough laws against people who kill wild animals and degrade the environment was speaking at the launch of Malawi Parliamentary Conservation Caucus, Tuesday, in Lilongwe, adding that his commitment will help stop and reverse the current situation of wildlife and natural resources destruction. "Those smuggling or killing our wild animals will face the law. Careless cutting down of our trees is a crime. We aim to harness wildlife and environment promotion policies and also working to introduce laws that will make these acts strong crimes," Muthurika stated while adding that the development of the National Conservation Policy is key. The Minister for Natural Resources, Energy and Mining, Bright Msaka, NaijaAgroNet gathered, said the caucus will see parliamentarians become conservation activists. "We also have the Parliamentary Committee on Environment. In the caucus we are adding 178 more activists. True activists are not those who will point at a river and say it is dirty, but real activists will go out and clean the river," he said. He went further to say that his ministry had in the meantime detained a truckload of hardwood at the border with Tanzania at Songwe. Chairperson for Parliamentary Committee on Natural Resources and Climate Change, WelaniChilenga said the MPCC caucus aims to build capacity of Members of Parliament (MPs) about the value of conservation of the country's natural resources. Malawi, NaijaAgroNet learnt, is losing most of its green cover and wild life to fraudulent loggers and poachers, including foreigners like Europeans who externalize rare fish species and Chinese who kill elephants for their ivory.